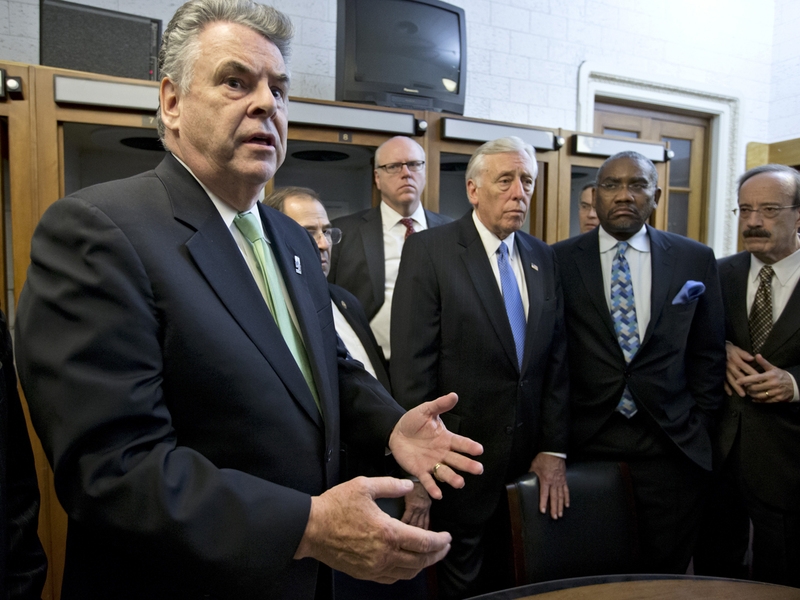 The House and Senate today passed a bill approving more than $9 billion in aid for regions impacted by superstorm Sandy, the first of two Sandy relief measures making their way through Congress between now and the end of the month. The measure, which allows FEMA to temporarily increase the National Flood Insurance program's borrowing limit by $9.7 billion, will now head to the White House for the president's signature. On January 15, the first full day of legislative business on Capitol Hill, House Speaker John Boehner is expected to bring up a vote for additional Sandy relief measures totaling the remaining $51 billion requested by President Obama. The House was expected to vote on a Sandy relief package earlier this week, before the close of the 112th Congress. But after the House passed a Democrat-crafted deal to avert the so-called "fiscal cliff" -- a deal many Republicans disliked due to a lack of spending cuts and an increase in tax rates -- Boehner pulled the Sandy legislation at the last minute. His decision was met with outrage on both sides of the aisle, and Republican New Jersey Gov. Chris Christie lashed out at the speaker in a press conference the following day. Several House Republicans also threatened to vote against Boehner's bid to be re-elected Speaker of the House. In light of the backlash, Boehner quickly scheduled the $9.7 billion flood insurance package for today and pledged to conduct a vote on the remaining funds on January 15. This first portion of Sandy aid was expected to pass, though there were objections among conservative Republicans. The Club for Growth sent out a press release urging House members to vote "no" on the bill, arguing that "Congress should not allow the federal government to be involved in the flood insurance industry in the first place, let alone expand the national flood insurance program's authority." Republican Jeb Hensarling, R-Tex., also expressed his opposition to the legislation, citing general objections to the national flood insurance program as well as a desire for the $9.7 billion to be offset by reductions elsewhere. "There is no doubt that Hurricane Sandy rendered unspeakable damage to both lives and property on our East Coast," he said in remarks on the House floor. "The tragic reality [is] the national flood insurance program is broke. It is beyond broke... Emergency bills like this should not come to the floor without offsets to pay for it or structural reforms to ensure that taxpayer bailouts are never needed again. Regrettably, less than 24 hours into a new congress, there is simply not time for this." Democrats fiercely defended the legislation, and continued to blast Republicans for stalling on the original vote. "The victims of superstorm sandy can wait no longer. It's been 11 weeks," added Carolyn Maloney, D-N.Y., in remarks during debate over the bill. "Haven't they suffered and waited long enough?" Following the bill's passage through the Senate, Christie and Gov. Andrew Cuomo, D-N.Y., lauded what they called a "critical first step towards delivering aid to the people of New Jersey and New York." But they emphasized that Congress' work is not finished. "While we are pleased with this progress, today was just a down payment and it is now time to go even further and pass the final and more complete, clean disaster aid bill," the governors said in a joint statement. "We are trusting Congress to act accordingly on January 15th and pass the final $51 billion instrumental for long-term rebuilding in order for New Jersey, New York and our people to recover after the severe devastation of Hurricane Sandy."